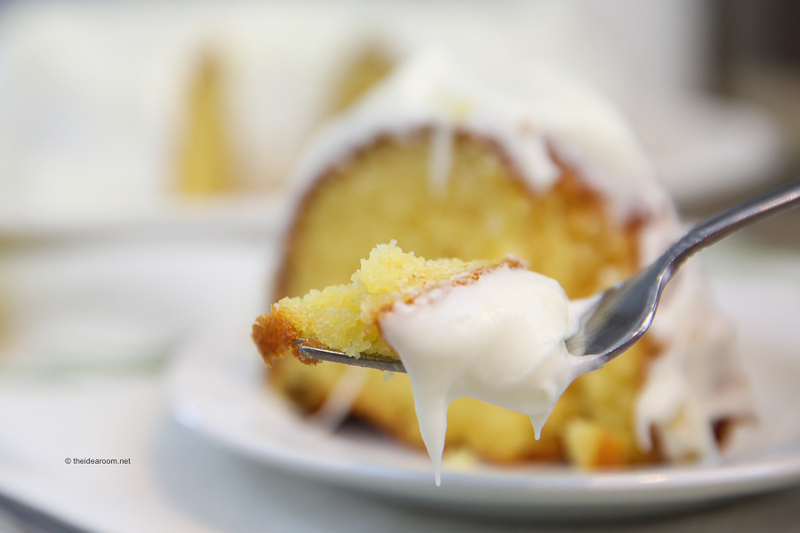 This Lemon Cake Recipe is light and fluffy with just the right amount of tart lemon smothered in a creamy vanilla cream cheese frosting. 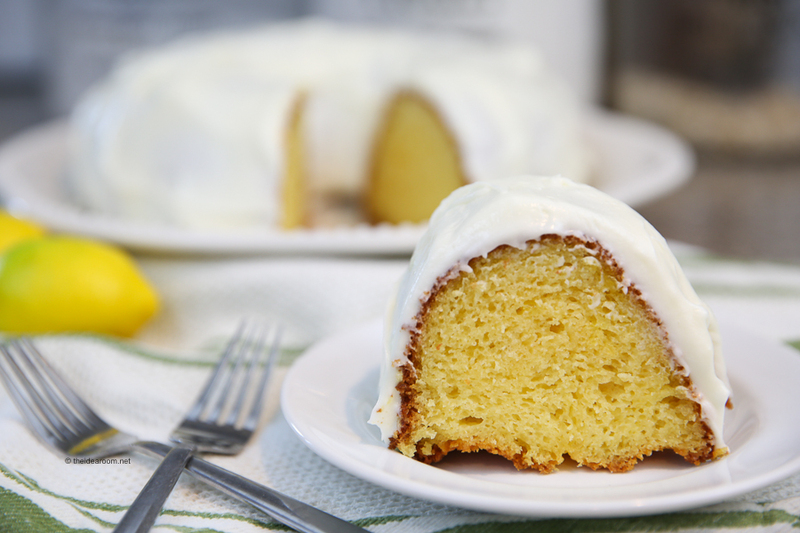 It will be your favorite Lemon Bundt Cake. 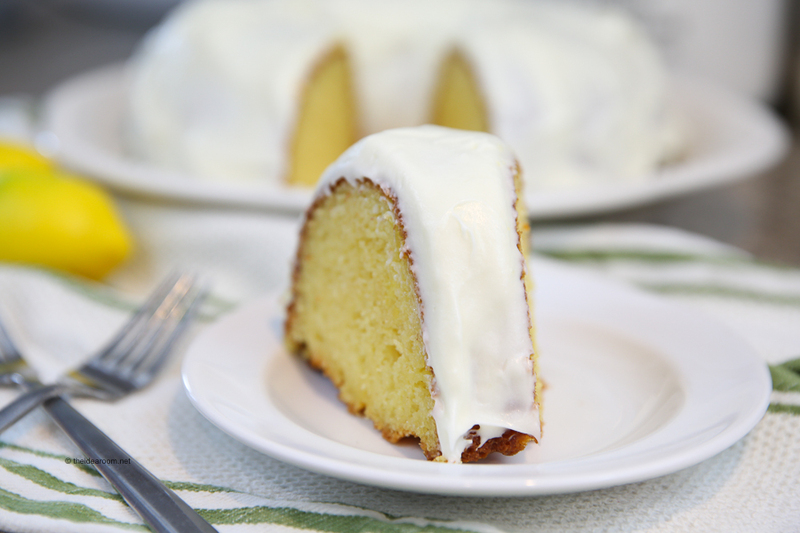 One of our family’s favorite cake recipes is this delicious lemon cake. It is one of the easiest cake recipes we make and can literally be thrown together in just a few minutes. The hardest thing about this cake might be waiting for it to come out of the oven. I am kind of obsessed with lemon desserts but it might be safe to say that this lemon cake falls at the top of that list of dessert recipes. This recipe has been in our family for several years now and we always come back to it after trying new ones here and there. This cake is moist, fluffy and full of flavor. The icing is the perfect addition to this cake. You can actually eat the cake without the icing if you would like because the cake has a great flavor all by itself…but everything is always a little bit better with icing on it…am I right? 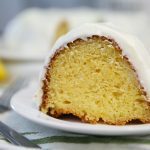 We have tried this cake in a regular 9 x 13 pan, but we really love it best when it is made in the bundt pan. I am not sure why it tastes a little different, but I feel like the texture of the cake is better when baked in a bundt pan. Just make sure you grease it well so you cake comes out easily. Heat oven to 350°F. 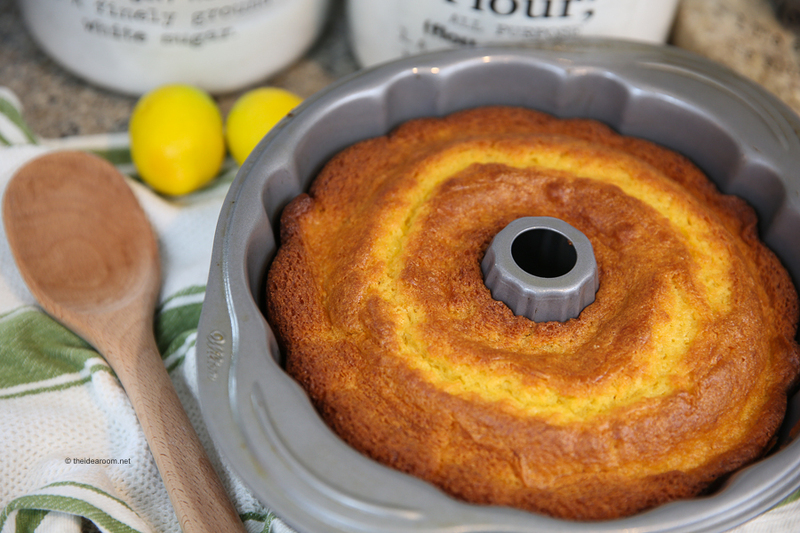 Coat 12-cup bundt pan or 10-inch fluted tube pan with no-stick cooking spray. Dust with flour. Beat cake mix, pudding mix, sour cream, oil, eggs, water, lemon zest and lemon extract in large bowl with electric mixer on low until well combined. Spoon our pour into prepared bundt pan. Bake for 50-55 minutes or until toothpick inserted in center comes out clean. Cool in pan 15 minutes. Remove from pan to wire rack to cool completely. Bake for 50-55 minutes or until toothpick inserted in center comes out clean. Cool in pan 15 minutes. Remove from pan to wire rack to cool completely. Beat cream cheese, softened butter and lemon extract in a bowl until light and fluffy. Mix until well combined. Add in your confectioners sugar, one cup at a time, mixing well after each addition. Add in 1 tablespoon milk and 1 tablespoon lemon juice, and mix until very well combined. 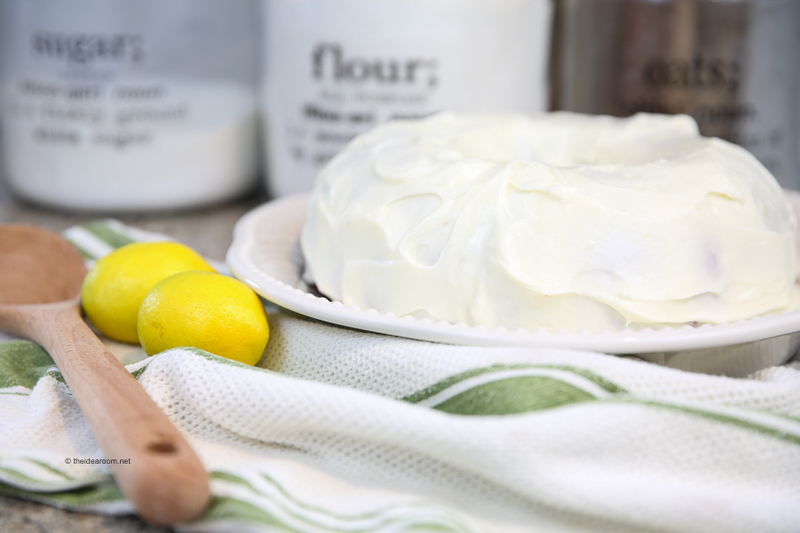 If you desire a thinner frosting, add 1-2 additional tablespoons of lemon juice, one at a time, mixing well after each addition. Once desired consistency is reached, fold in the zest of one lemon. Once cake has cooled completely, apply frosting to cake. As this is a bundt cake, it does not have to be perfectly frosted. Garnish with remaining lemon zest. If you would like to print a copy of this to fill your Idea Room Recipe Binder, click on this link here. Thanks for stopping by! I hope you enjoy your Lemon Cake! I’m not a huge cake fan (I find it to be too dry) but I absolutely love anything lemon so I think I’m going to give this a try. I also noticed all your other lemon recipes that you linked to. Can’t wait to go through them! Thank you. I hope you love it! This cake is really moist! LOVE how easy this is to throw together. I’m a huge fan of anything lemon. Lemon wins! This recipe is awesome. Love how easy it is too! Adell- Hope you end up liking the recipe! 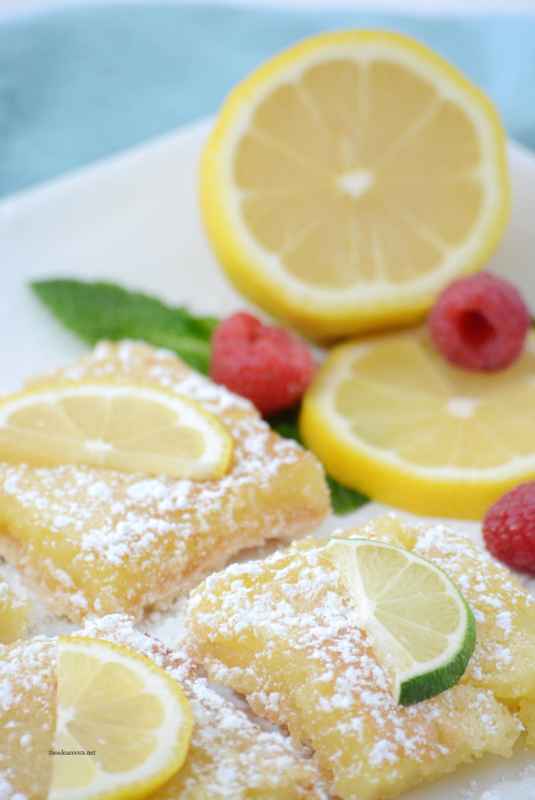 Lemon cake is so refreshing & delicious!! This looks so moist! I especially love the frosting! This cake was moist and had a nice amount of lemon. I used my Young Living lemon vitality oil for the lemon extract. I made the cake one day in advance and refrigerated it once it was cooled and frosted. It was definitely a hit at my house.